For three minutes, stand up in front of a crowd and say your piece, reveal a little of yourself, shout, whisper, or make people laugh. 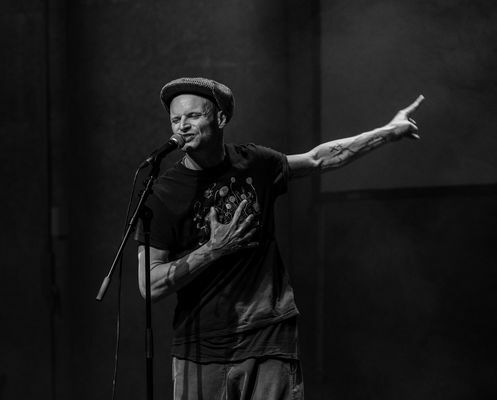 Try your hand at a poetry slam, and the slam will take you under its wing. Open to everyone, the event’s only requirement is that you sign up beforehand. Not strictly a rap or improvised performance, the slam occupies a free space; irrespective of your style of delivery, come and put your experience, feelings, commitment, hopes, dreams and desires into words. No embellishment, musical accompaniment, accessories or fancy get-ups – just you, the audience and your words. And don’t forget the icing on the cake: once your poem is performed, you’ll have earned a free drink! Of course, you can also attend the event as a member of the audience, but be careful, because the temptation to perform will be strong! Each event is preceded by a free writing workshop that runs from 17:00 to 19:00, which is open to newcomers as well as experienced poetry slammers.